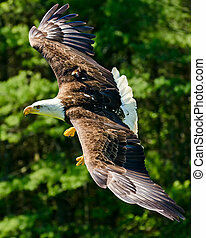 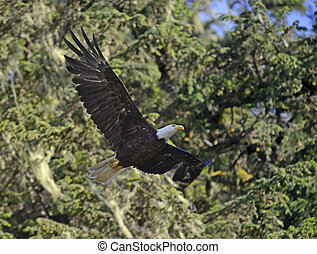 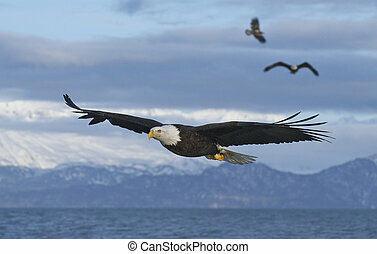 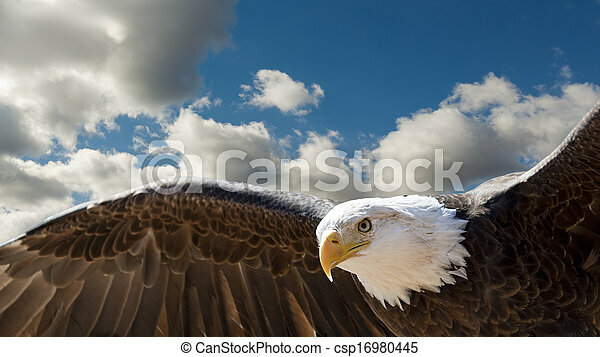 Closeup of a bald eagle flying in a cloudy sky with room for text. 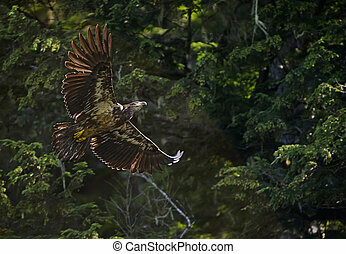 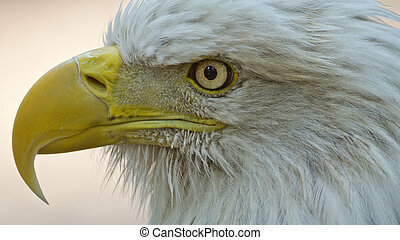 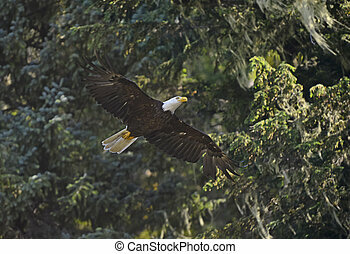 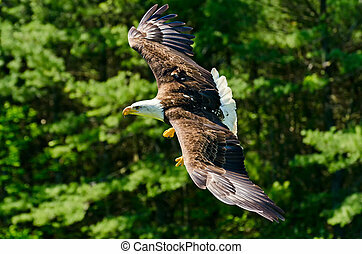 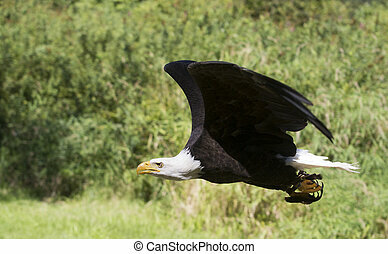 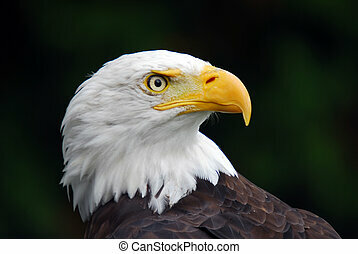 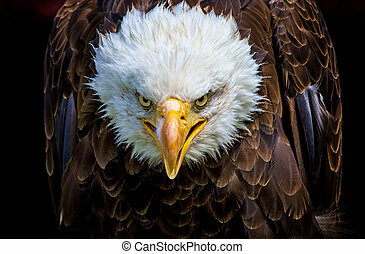 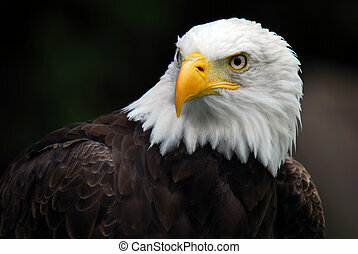 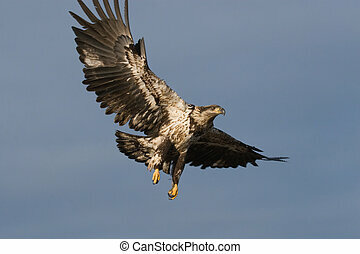 An angry north american bald eagle on black background. 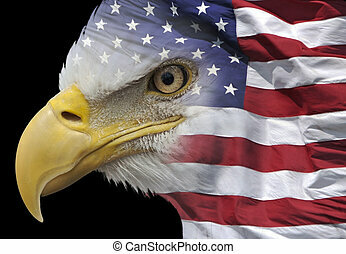 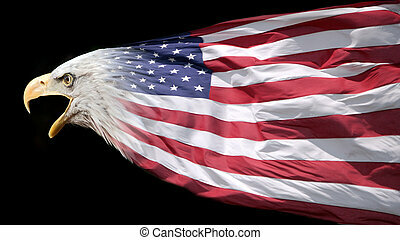 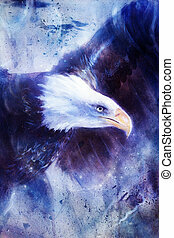 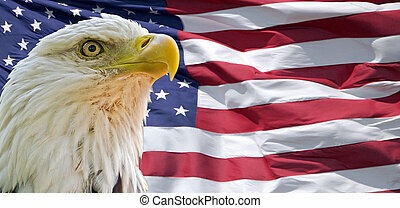 painting eagle on abstract background, wings to fly, USA Symbols Freedom. 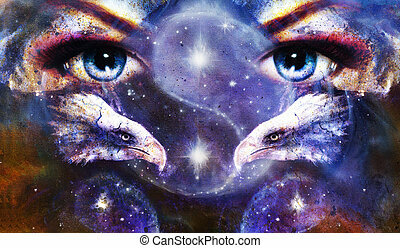 Vintage style picture.